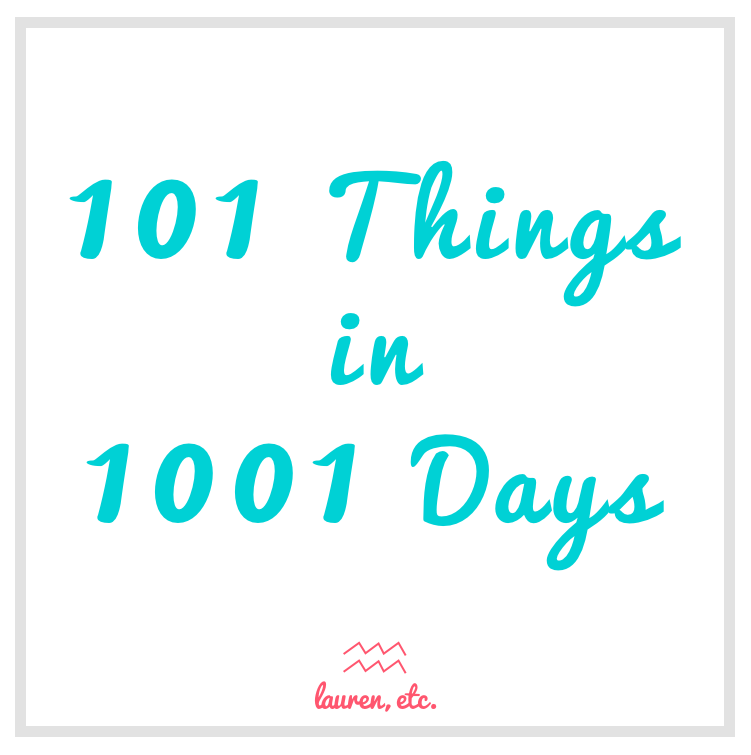 101 Things in 1001 Days | Lauren, Etc. During my 30 Step Minimalism Challenge, I was tasked with creating a bucket list. But, inspired by Mackenzie of Design Darling, I’m going all out with a 101 Things in 1001 Days list! I’m going to try my hardest to complete every single item on this list before the 1001 days are up – which coincidentally is the 3rd anniversary of our move to Alabama! Share with me your 101 and 1001 so I can follow along on your journey! Pingback: 30-Step Minimalism Challenge Update Week 3 | Lauren, Etc. Pingback: 30 Step Minimalism Challenge Update Week 4 | Lauren, Etc. Pingback: Et Cetera II | Lauren, Etc. Pingback: July 2016 Budget Review | Lauren, Etc.